You will be picked up in front of your hotel by a 15-passenger van. Please be ready outside as the the driver will arrive within 5 to 15 minutes of your scheduled time. The tour aims to be as personable and pleasurable as possible so there is usually only eight to 10 people in the van. This tour will always run, rain or shine, no matter the number of people that booked the tour. 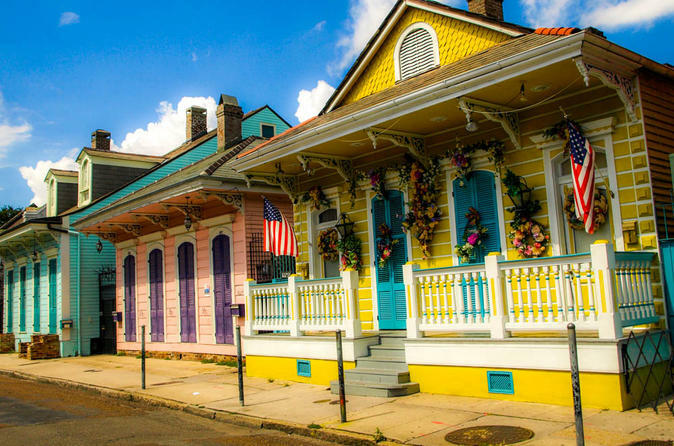 Traveling via the tour van allows you to be able to see so much more of the city since many other larger vehicles are not allowed to go deep into the French Quarter, the 9th Ward, or the Garden District. Operating with smaller groups and smaller vehicles allows for more interaction. The environment here will allow you to sit back, relax, and feel comfortable. Please ask as many questions as you want. Some of the places you'll see include French Quarter, Frenchmen Street, Marigny Neighborhood, 9th Ward, Musician's Village, Treme Neighborhood, Esplanade Avenue, Bayou Saint John, City Park, Lake Pontchartrain, 17th Street Canal, Historic Above Ground Cemetery, Carrollton Avenue, Oldest Streetcar in the World, Saint Charles Avenue, Tulane and Loyola Universities, Garden District, Famous Homes, Magazine Street, National WWII Museum, and the Warehouse and Arts District. The tour concludes as you enter the Central Business District. If you would prefer to be dropped off somewhere in the French Quarter, you can request to do so. Otherwise, you will be brought back to your hotel.